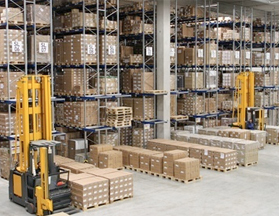 We provide high quality warehousing and distribution services. We can cater to our customer’s specific needs by providing a secure warehousing solution. Above includes Bonded and non-bonded storage facilities. Customer’s objective of inventory reduction by Trans loading intermodal shipments can be achieved. The Company also offer a dedicated warehouse facility in Khor Al Zubair, for demands of our esteemed customers. This facility resides in the Khor Al Zubair Free Zone area and is a Customs bonded facility. An area of 8000 sqm offers covered and a n open yard facility for all types of cargoes. Cargoes can be delivered in whole or partial shipments on customs inspection.